Belgium is considered the heartland of cyclo-cross racing, so a world championships in Belgium is always a special thing. Tomorrow, the Worlds return to the small North Sea town of Koksijde for the first time since 1994, when a Belgian man won the Elite title (Paul Herygers). Already, the organizers have announced that they have cut off sales at the gate for the Elite races on Sunday, with over 40,000 tickets sold, and the King of Belgium will be attending. Organizers are expecting some 30,000 litres of beer to be sold. Clearly, this is a very big deal. The weather looks to be excellent as well - mid single digits, sunny with some showers just to keep things muddy and interesting. The Koksijde circuit is quite unique, with much of the course run through, over and around massive sand dunes, and the rest on an air force base. There aren't many places to rest on this course, and one mistake in the sand could easily put a rider out of contention. When Herygers won, he had a sand dune named after him, and organizers have promised to do the same for this year's Elite champion. "The start is more important than ever," agrees Canada's lone Elite men's entry, Craig Richey. "The first five or six guys will be able to ride it, but then if one guy makes a little mistake and has to get off, it bottlenecks, and it's almost impossible to make up ground after that." Richey will be hoping for a top-40 results, and felt good in training on the circuit. He has been over racing the World Cup circuit - including Koksijde - since early November, with some good results. However, illness has struck more than once through his season, so he isn't sure what to expect on Sunday afternoon for his 60 minute race. The favourites include two-time defending champion Zdenek Stybar of the Czech Republic, a trio of Belgians - Sven Nys, Niels Albert and World Cup champion Kevin Pauwels. Canada does not have any entries in the Elite women's race, where the prohibitive favourite is Dutch rider Marianne Vos, going for her fourth consecutive title, although her only loss this season was at Koksijde. Others to watch for the podium are American Katie Compton and Vos' team mate Daphny van den Brand. These two have dominated the race in Koksijde over the past few years, with Compton winning in 2008 and 2010, and van den Brand just last Fall. Missing from the women's field is multi-time champion Hanka Kupfernagel of Germany, who announced earlier in the season that she was going to focus on Olympic preparations. The Worlds open on Saturday with the Junior men and U23 men. 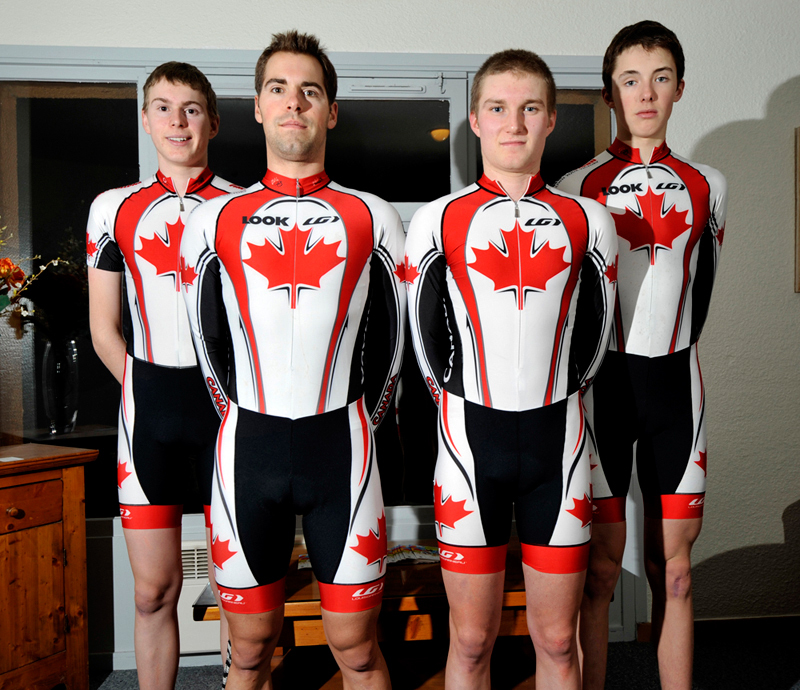 Canada has two Juniors - Yohan Patry and Samuel Beaudoin - and one U23 - Felix Coté Bouvette. Number one ranked Mathieu van der Poel (Netherlands) is the clear favourite in the Junior race, and his team mate Lars van der Haar is equally dominant in the U23 category. Koksijde World Championships Bar Cam Footage from Behind The Barriers on Vimeo.